Tāmaki Paenga Hira – Auckland War Memorial Museum completed heritage restoration work to the iconic Domain building recently with further work for new cultural galleries to be launched in 2019. The impact to nearby storage areas were critical – and construction work ceased until a solution could be identified and installed. With the importance of the artefacts in this facility, if left unaddressed these delicate collections would be exposed to reverberation and vibration impact – with a large collection potentially 4.5 million treasures would be compromised for future generations. The services manager of the Auckland War Memorial Museum made initial contact with Potter Interior Systems to address transmission of vibration, as a quick and simple solution was needed. High performance isolation acoustic material on the floor and between surfaces was needed to reduce vibration for each fragile, irreplaceable piece. Potter Interior Systems along with Pyrotek immediately responded to the call and attended the site in order to identify the issues and offer a solution. 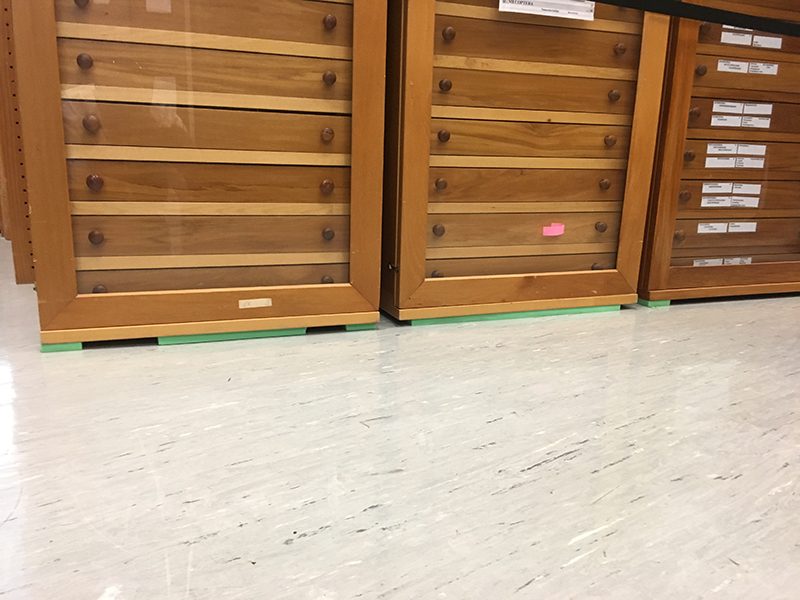 To solve the issue, Sylomer was supplied in a large roll for install in pieces below the storage cabinetry and underneath individual artefacts. Pads were made to bespoke sizes for each cabinet; then gently lifted and lowered on to the pads to provide isolation between the hard concrete floor and the rigid wooden sample cabinets. Sylomer is a lightweight, mixed cellular polyurethane foam and has excellent vibration absorption with the ability to effectively isolate vibration energy, preventing it from transferring through. Working together with museum staff the final design included the installation of the absorbing panels to address reverberation in the space.